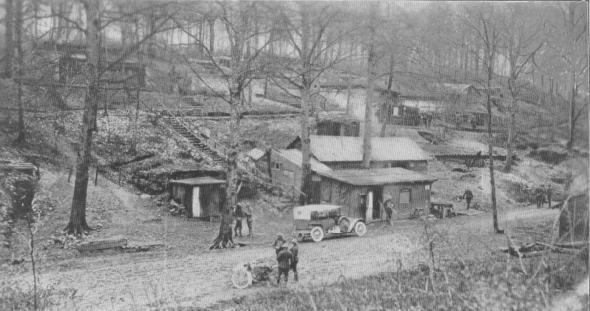 CAVEMENHeadquarters of the 6th Marines, 2nd Div., in smelly, bomb-proof dugouts, Sommedieue, France. There is a great contrast between the quiet activity of this picture and the feverish haste exhibited when the gas alarm sounded. GAS ALARM6th Marines, 2nd Div., responding to gas alarm, Verdun Sector, April 30, 1918. 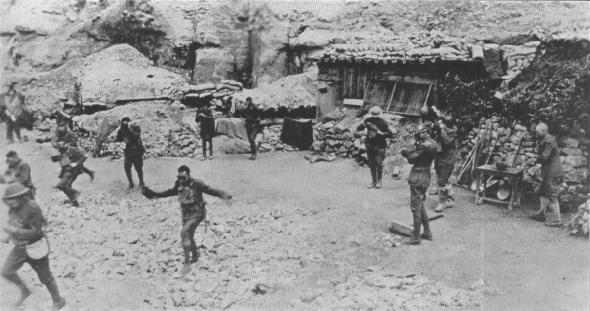 A few weeks before, under a severe artillery attack with gas shells, all officers and 230 men of one marine company had been gassed, 40 of the latter dying.